Spring weather has finally arrived....hurray! This season we are keeping our warm weather outfit planning simple and focusing on updating our current wardrobe basics with fun shoes and accessories! I'm pretty sure our summer uniform will consist of Cropped White Jeans and an off shoulder eyelet top....paired with these sandals and a statement earring! 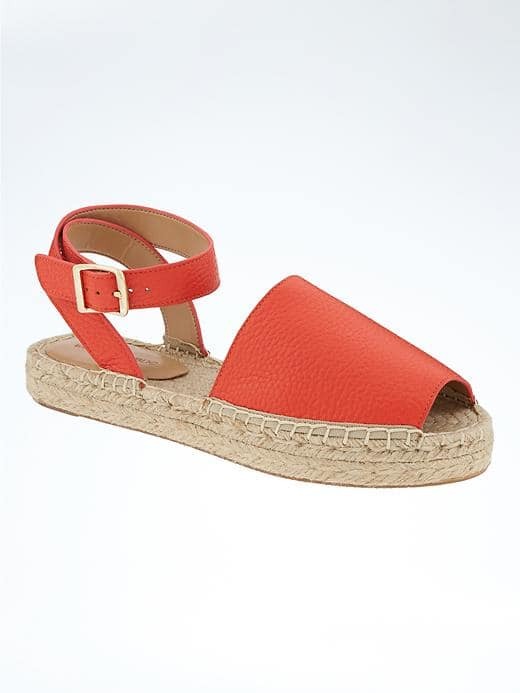 See our round up of favorite sandals above....and now is the time to stock up on all of our favorite Banana Republic cuties (they are a steal at 40% off)!